GIA Publications - What Great Music! 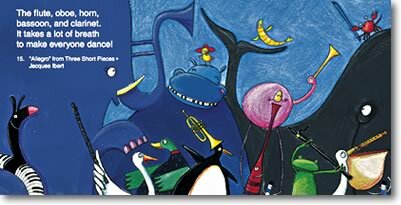 the world of great classical music with young children. The music on the CD has been carefully chosen for its brevity, variety, and complexity: perfect for young minds. Each selection links to a delightful illustration and brief line of verse in the full-color booklet. It’s a perfect way for kids to immerse themselves in the world of music.